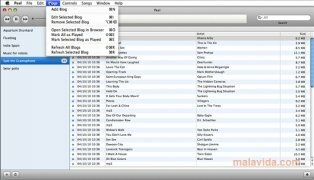 Peel is a music blog reader and player that will allow you to listen to all the songs that are included in your favorite music blogs. 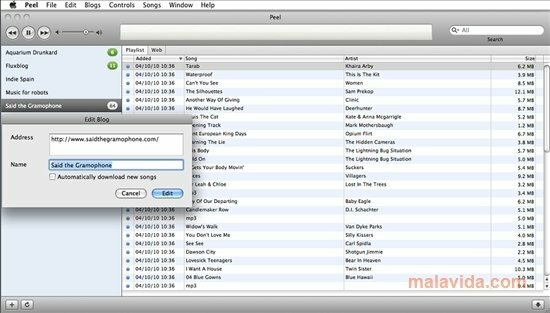 With an interface that is identical to that of iTunes, it will also allow you to download the songs that you choose. 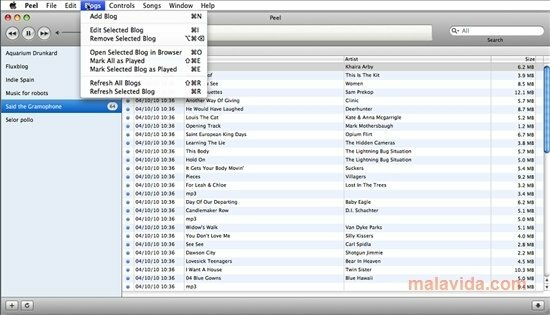 If you are a follower of the blogs that publish songs, normally in MP3 format, Peel is the application for you. This blog reader works in a very simple manner. First of all you will have to add the URL of the website and provide it with a name. After that it will be added to the list of blogs that appear on the left hand side of the interface. And automatically Peel will search for the songs available on the website, and it will offer you the possibility to listen to them. You will be able to simply listen to them or on the other hand download those that you are most interested in. 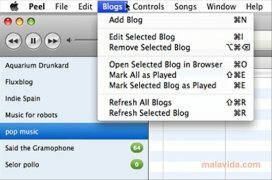 What's more, it also includes a tab that will allow you to view the blog where the song is hosted so that you can read the article that is related to it. 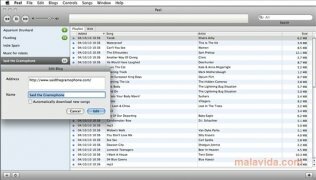 Peel will update the list of songs every certain amount of time, depending on what you configure in the settings, even though it also includes a button that will allow you to update a list whenever you want. 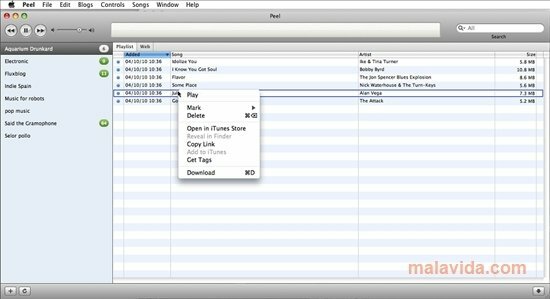 It also offers you the possibility to add the songs that you want to iTunes. Nevertheless, you have to take into account that Peel only recognizes the songs that have a direct link to the MP3 files. 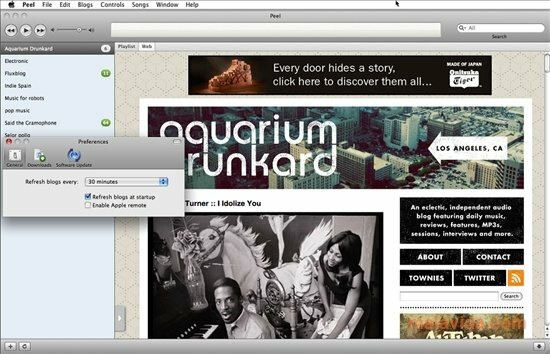 Try Peel and discover all the music available on the Internet.